Palestinian Authority chief rejected offer by Egypt to create a state 5 times the size of Gaza, give up 1967 borders. 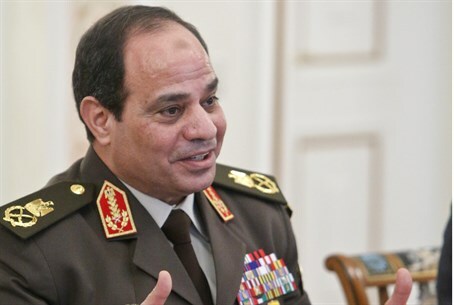 Egyptian president General Abdel Fatah A-Sisi has offered Palestinian Authority chief Mahmoud Abbas to cede 160 square kilometers of the Sinai Peninsula adjoining Gaza to the PA, thus creating a Palestinian state five times the present size of Gaza. In return, the PA would stop demanding that Israel return to the 1967 borders. The offer was revealed on IDF Radio. A-Sisi reportedly suggested that Palestinian "refugees" be allowed to settle in the new, much enlarged Gaza, which would be demilitarized. The Palestinian cities in Judea and Samaria would enjoy autonomy and be fully run by the PA, according to the plan, which would leave the PA with even more territory than it would have if Israel ceded all of Judea and Samaria. Prime Minister Binyamin Netanyahu was aware of the offer and the United States gave a green light, according to the military radio station's sources. A similar idea was floated years ago by Israeli academicians and by Major General (ret.) Giora Eiland, but was rejected by Egypt at the time.